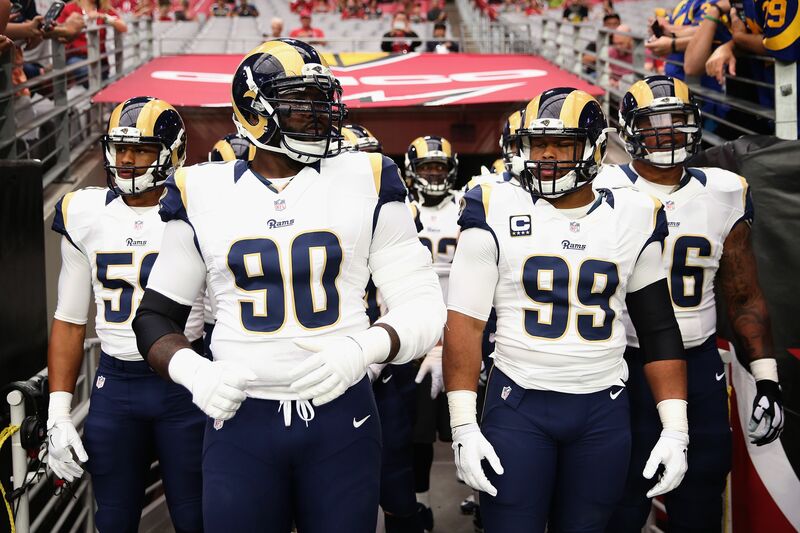 The Los Angeles Rams not only have All-Pro defensive tackle Aaron Donald available for the game, but he will start in Week 2 versus the Washington Redskins. After giving it to the Indianapolis Colts in their Week 1 home opener, it seems that the Los Angeles Rams will be even better on Sunday afternoon in Week 2 when they host the Washington Redskins. Not only is their best player in defensive tackle Aaron Donald back on the team, but he will start for the Rams on Sunday afternoon. Rams head coach Sean McVay told the media on Friday that Donald will start versus Washington. Donald had held out the entire preseason for the Rams. He did not play in the Week 1 home opener versus the struggling Colts. The Rams aren’t just getting back their best player, but arguably one of the five best players in the entire sport. Donald’s impact at defensive tackle cannot be stressed enough. He is the most gifted interior pass rusher in football. Slightly undersized, he plays the position with a tenacity we may not ever seen out of defensive tackle. Donald dominated in college football at Pittsburgh. He was the No. 13 overall pick by the then St. Louis Rams in the 2014 NFL Draft after being a unanimous All-American at Pittsburgh in 2013. Donald is probably the best pure talent the Rams have had on either side of their line since Pro Football Hall of Fame offensive tackle Orlando Pace. While the Redskins have better than average offensive personnel, McVay is no longer coaching the Washington offense. He has defensive coordinator Wade Phillips in his corner to devise pressure schemes to thwart McVay’s former employer. If the Rams defeat the Redskins on Sunday, they’ll improve to 2-0. This is a short week for Los Angeles, as they will play NFC West division rival San Francisco on Thursday night in Week 3.